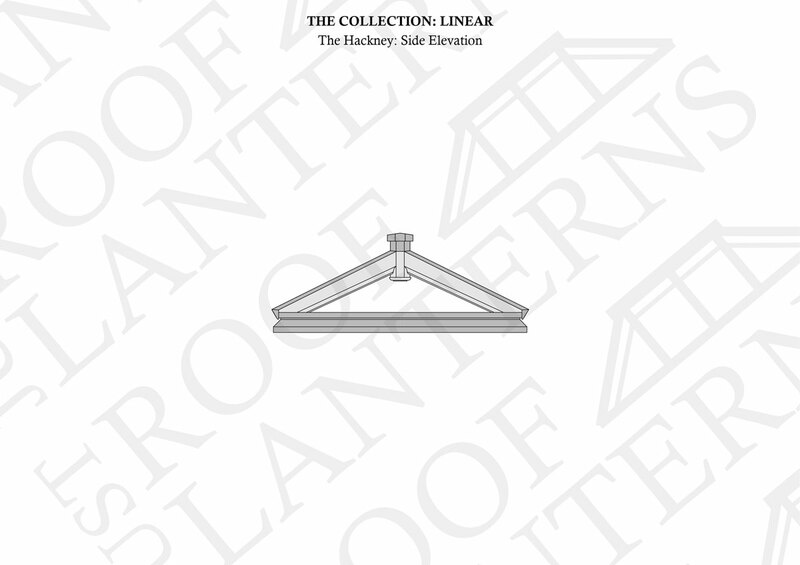 Description - The Hackney is the second largest rectangular rooflight in "The Linear Collection". Its long ridge is ideal for hanging pendant lighting from. 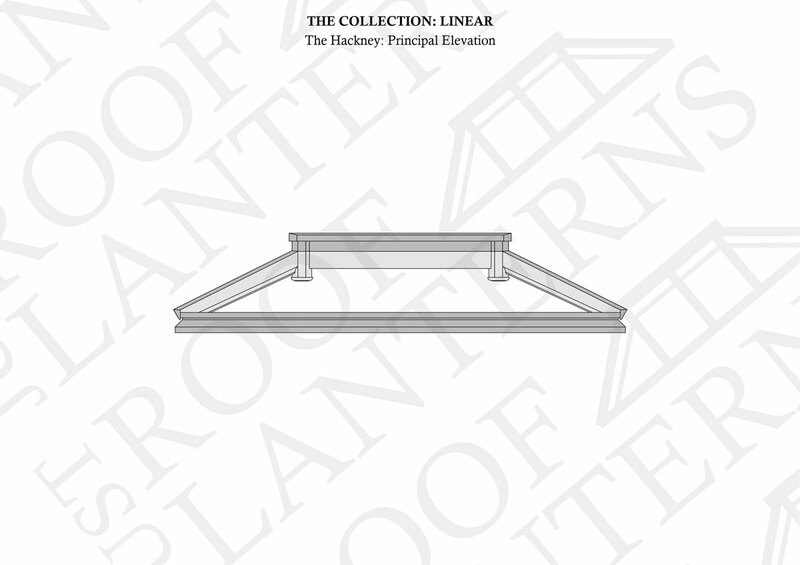 Roof assembly - shallow hip rafters span between a profiled roof plate/cill and a central boss. 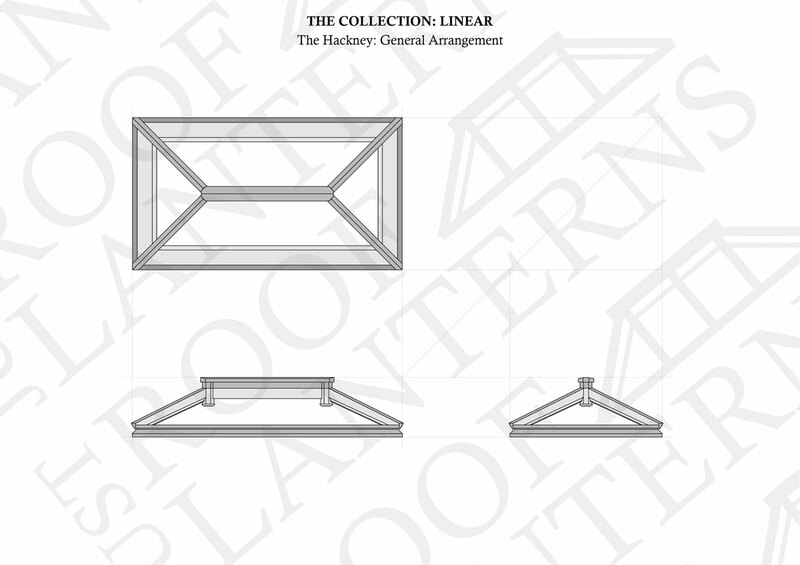 The arrangement of the hip rafters is as shown in the sketches below. The roof pitch is 25 degrees. Rainwater discharge is direct to the perimeter flat roof weathering surface. Glazing – self cleaning high performance dual-sealed double glazed units comprise two leaves of 4mm clear toughened safety glass, a 16mm Argon gas filled cavity, and include soft-coat low-emissivity heat reflective coating to the cavity face of the inner-leaf. 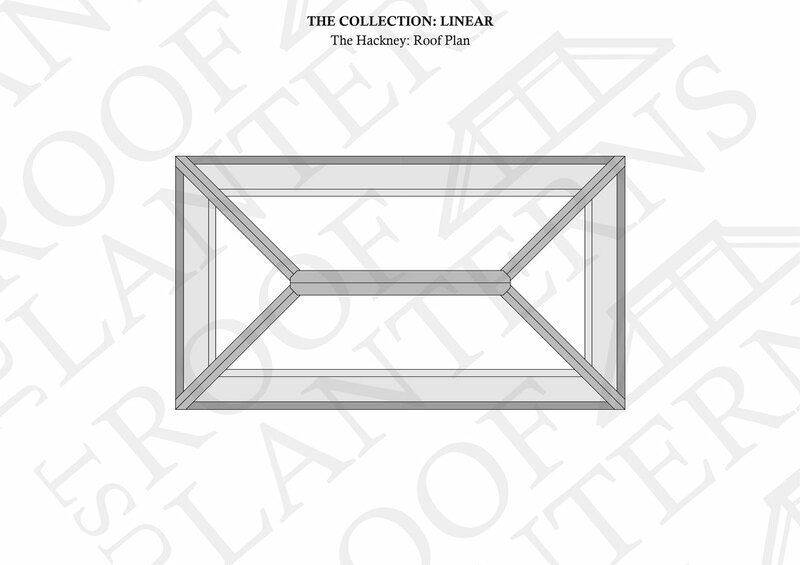 The thermal u-value of the roof glazing units is 1.2. Solar glass can be specified. For further details please see available options. Weight – approx. 152 kg. 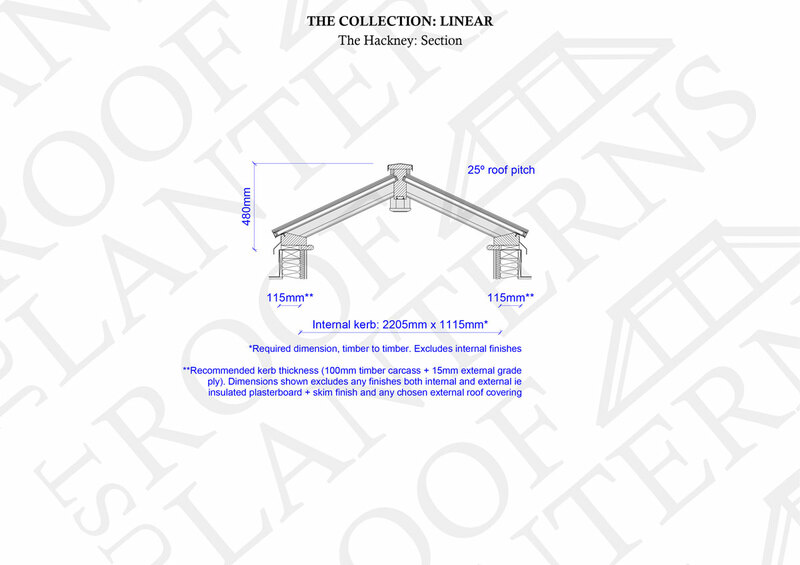 Ventilation - Can be specified with up to 4no. passive vents. Please see available options. 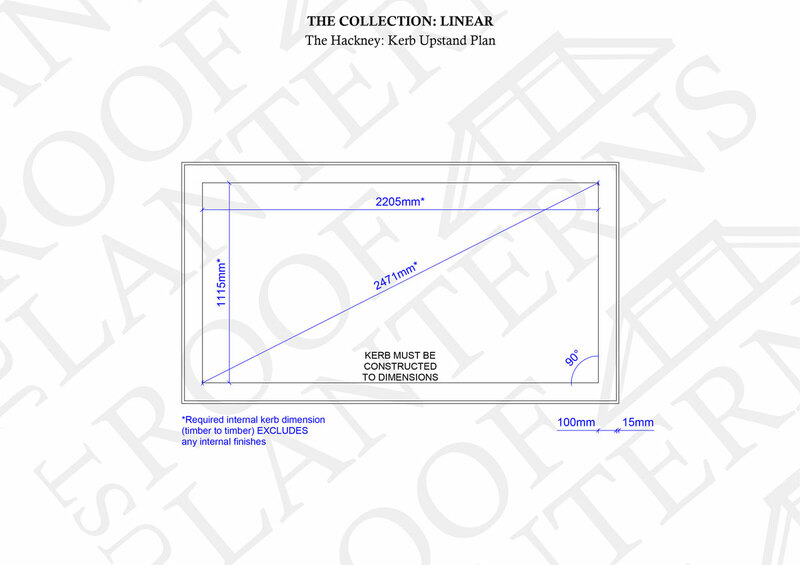 Critical dimension – Internal kerb, timber to timber: 2205mm x 1115mm on plan.